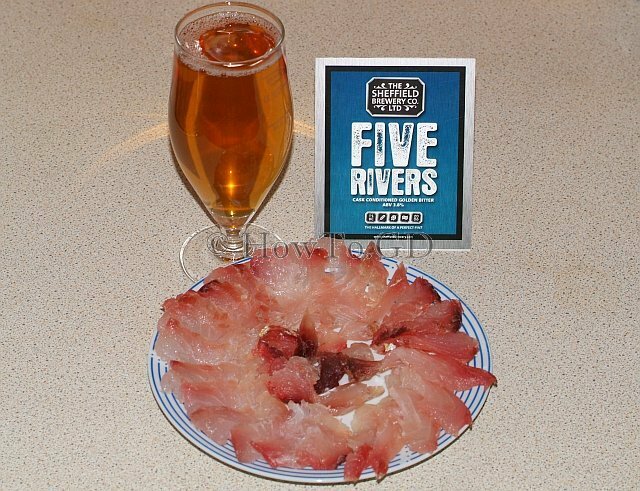 Low salted silver sea bream is a perfect food for light hoppy session ale, like Five Rivers from the Sheffield Brewery company, or similar. Lightly salted sea fish is very popular in many countries. Cooking is very similar, but miniaturisation take some time. 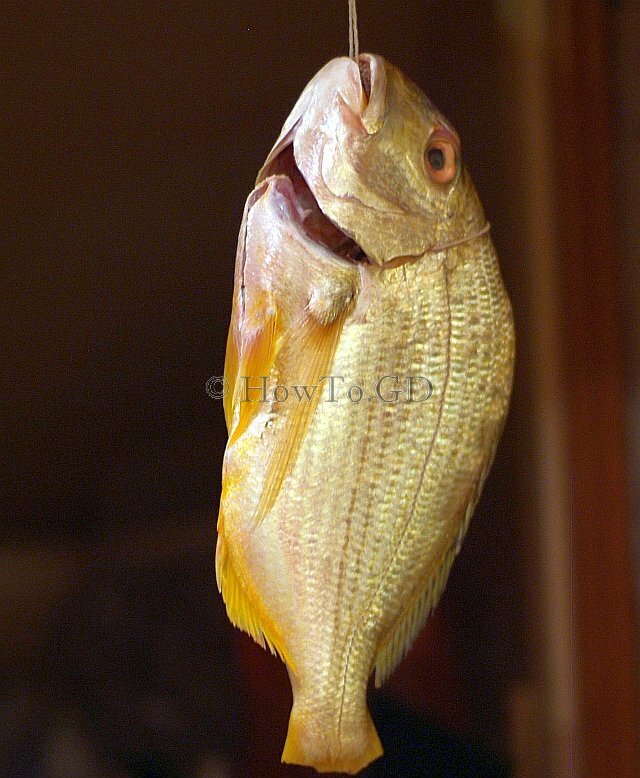 The taste of low salted sea fish is not usual, but very attractive. 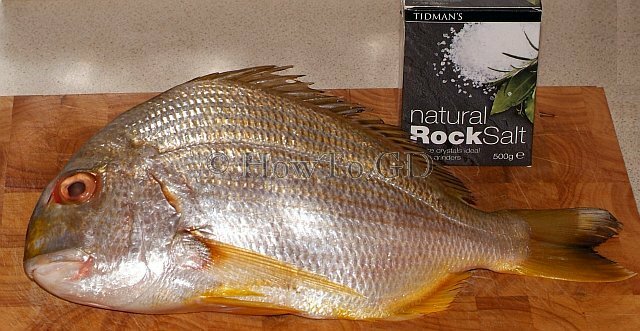 In this article I will describe, how to make low salted silver bream? But this technique will be suitable for any sea breams. Natural rock salt. About 7-10% of weight of the fish (about 125 gm in this case). The exact amount is not very important, because the fish will only take required salt. Remove stomach content and remove gills. Do not remove scales. 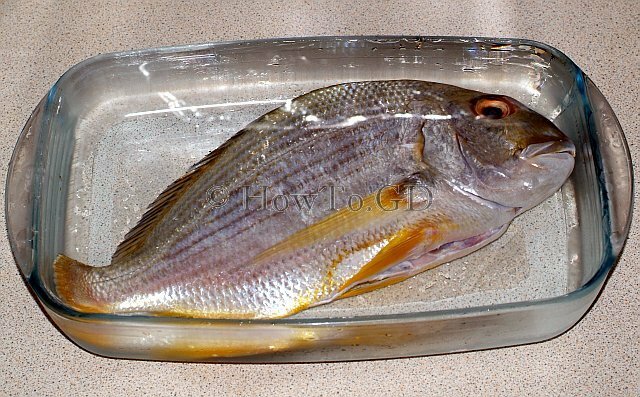 In glass or stainless still container, cover evenly all surfaces of the fish with the salt, do not forget to salt inside the stomach. Cover with cling film and place some weight (about 3 kg, for example large milk container will be perfect) on the top of the fish. Keep this fish 48 hours in the fridge. 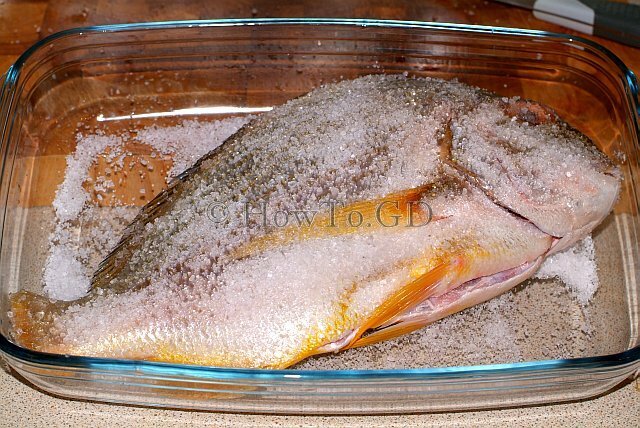 Wash the fish body from the salt. Keep it in the cold water for 1½ hours to wash away all extra salt. Hang this fish in a cold room for about 4 days. After four days, fish meat will be soft, but ready. 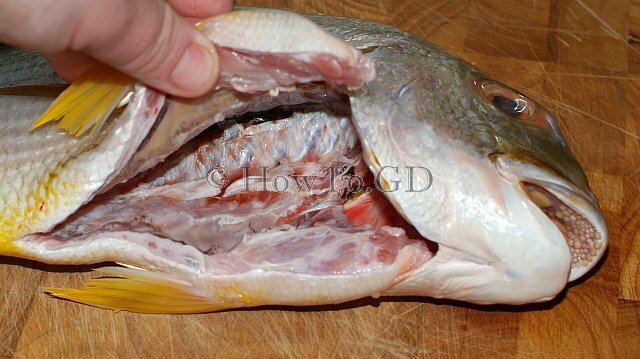 Remove skin with scales from the fish. Fillet it with sharp knife. Slice silver sea bream fillet across the grains with the knife. Serve with session ale and enjoy. This fish is not really suitable for long storage. 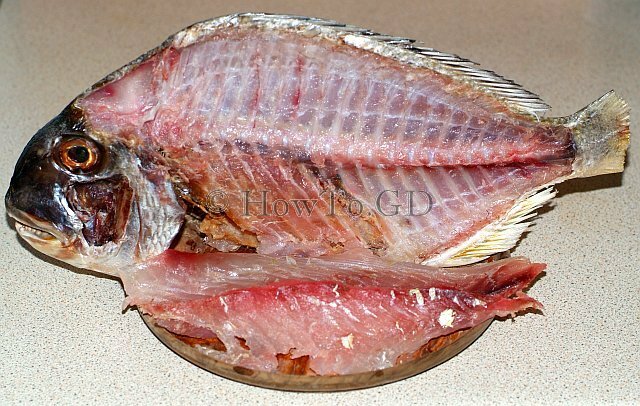 You can only fillet it, brush fillet with vegetable oil and store in the fridge for few days only.